Short on floor space? 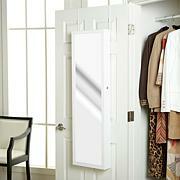 Hang up your accessory storage with this over-the-door jewelry storage piece. Ball-tipped hooks organize scarves, a hat or two, or small handbags; wire mesh tackles oodles of earrings. 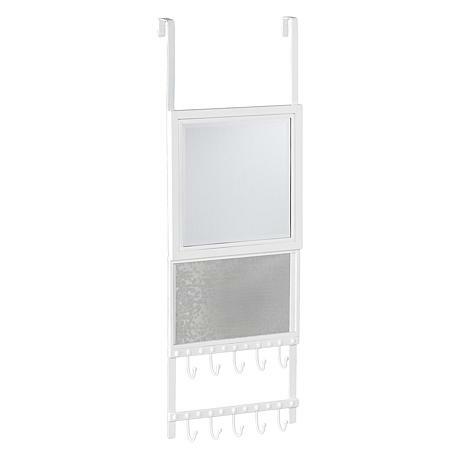 Face framing mirror rests inside crisp white metal frame, waiting to approve your latest look. 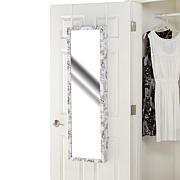 Dash out the door with this grab-and-go storage station in the dressing area, bath or hall. Storage piece should not be wall mounted.